Facebook page ‘Shut The Fake Up‘ which has been creating videos and social media graphics targeting the Narendra Modi-led Bharatiya Janata Party (BJP) government and the mainstream media, is part of the social media campaign of the Indian National Congress (Congress), an investigation by BOOM revealed. BOOM first noticed the page after one of its rap videos titled ‘anthem for the fight against fake news,’ went viral over WhatsApp and Facebook. The campaign which uses the abbreviation ‘@STFUindianmedia’ has a presence over Facebook, Instagram and Twitter but does not disclose that it is linked to the party on any of the platforms. The page is followed by nearly 62,600 Facebook accounts. However, BOOM was able to trace it back to the Congress by looking into the Facebook page’s ad trail, which is publicly available. Social media platforms are a keenly contested battle ground for political parties to woo the electorate, particularly first time voters. Several pages such as Nation With Namo and My First Vote For Modi with large followings are prolific on these mediums. 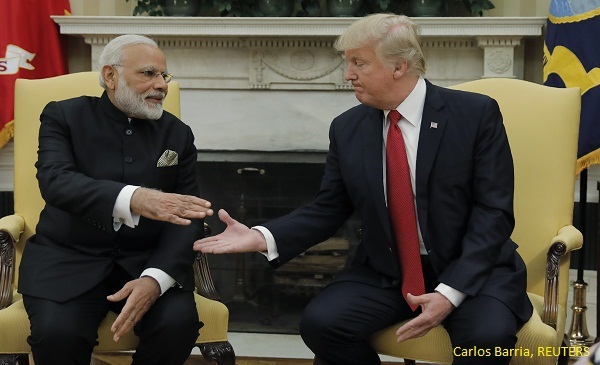 A recent investigation by Huffington Post showed the two pages were linked to the BJP and part of a campaign managed by the shadowy firm – Association of Billion Minds (ABM). 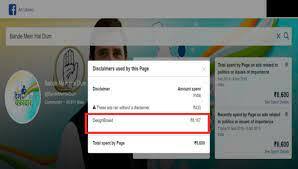 A further search by BOOM revealed two more pages – Bande Mein Hai Dum and Chowkidar Ka Report Card are being run by DesignBoxed as part of the Congress’ online campaign. Both the pages, do not disclose that they are a part of Congress’ social media campaign on any of the social media platforms. The Facebook page Chowkidar Ka Report Card created on March 29, 2019 describes itself as, ‘To set the record straight- Only self proclaimed Chowkidaar is the culprit, and his failures will not be borne by real, dignified, duty abiding Chowkidaars! This page is their protest!’ The page has a following of 62,488 on Facebook and 600 on Twitter. The Facebook page has spent Rs 10,626 since March 31, 2019 to April 6, 2019 on advertisements. All the advertisements are by DesignBoxed with some recent ones by Shubham Kumar Gupta. The Facebook Bande Mein Hai Dum created on April 2, 2019 has no description in ‘About’ page but on Twitter describes itself as, “Because loyalty towards the nation is the primary duty. Because actions speak louder than labels. We are Wafadaar but we are not Chowkidaars.” The page uses Congress president, Rahul Gandhi’s photo and the party’s logo as their cover photo. According to Facebook ad expenditure data, Bande Mein Hai Dum has for the period of April 2 – April 6, 2019 spent Rs 8,600 on ads. All the advertisements were sponsored by DesignBoxed. Both the pages post videos and images about achievements of Congress, anti Modi messages and interviews where people speak positively about Congress. Such pages usually do not disclose their political affiliation in the absence of a rule that demands transparency. The pages come across as organic expressions of support led by volunteers. 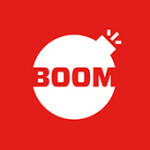 BOOM found that the page is run by DesignBoxed, a digital media agency hired by Congress to run its social media campaign in five states for the 2019 elections. The agency has till date run advertisements worth over Rs 1 lakh on the page and over Rs 66,000 on political ads, according to Facebook’s ad library. The page is also active on Instagram and Twitter with the same name and handle @stfuindianmedia and started posting on all social media platforms at the same time in March. While on Twitter it has only over a 1000 followers, on Instagram, the page has more than 12,000 followers with just over 50 posts. On April 4, the page posted a rap music video with the title, “The Anthem of Fight against Fake News is here! Sit back and enjoy!”. The video which lists “lies by the media” was over viewed over two lakh times and shared nearly 5000 times. According to details available on the Facebook ad library, DesignBoxed advertised the video and spent at least Rs 10,000-50,000 on it. It was shown to 39 percent men in the age group of 25-34 years. The advertisement was also shown primarily in Uttar Pradesh and then Maharashtra and Rajasthan. The page also runs a series where they ‘debunk’ fake news. The first episode in this series was about claims of unemployment rates in the country. The series only debunks viral fake news about the Congress party or Rahul Gandhi. These include posts, images and videos showing the Indian Muslim Union League flags displayed in Congress rallies but shared with false claims that it is the Pakistan flag. The recent episodes include special features on the Rafale scam and the Nyuntam Aay Yojana (NYAY) scheme launched by the party in light of the elections. The page has also been interviewing Indian youth especially from colleges in Rajasthan and Uttar Pradesh talking about “fake news in the media”. A cursory look at the Facebook, Instagram and Twitter page of Shut The Fake Up gives out no information about the owners of the page. In fact, even in the ‘Page Information’ section of the Facebook page does not list page admins. 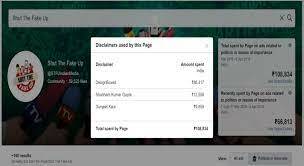 BOOM scanned through the advertisements run by the page and found that the ads had been sponsored by three people – DesignBoxed, Shubham Kumar Gupta and Gunjeet Kaur. DesignBoxed has sponsored more than 60 advertisements via the page. 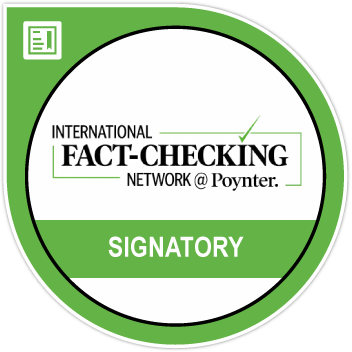 These include content related to the page and interviews of people about political issues. The other ads are by Gunjeet Kaur and a Shubham Kumar Gupta. According to the data released by Facebook, DesignBoxed has since February 2019 to April 6, 2019 spent a total of Rs. 108,834 on “Ads related to politics or issues of importance”. Of the Rs 1,08,834 total amount, Design Boxed has spent Rs 86,417, Shubham Kumar Gupta has sent Rs 12,558 and Gunjeet Kaur has spent a total of Rs 9,859. We used search terms, “DesignBoxed and Gunjeet Kaur” and a LinkedIn profile for the same name listed Kaur as the co-owner and creative director of DesignBoxed. BOOM contacted Kaur, who said she had no knowledge of the page and declined to comment. BOOM found the Twitter handle of Gupta, and his display picture had the name DesignBoxed creatives on it, confirming his identity. A Google search for DesignBoxed led us to news articles about a Naresh Arora, describing him as one of the two founders of the company. The news reports further said that DesignBoxed had been hired by the Congress to handle social media campaigns for various Congress leaders in at least five states in the upcoming elections – Punjab, Rajasthan, Haryana, Uttar Pradesh and Maharashtra. DesignBoxed was also roped in by Congress to handle campaigns for the 2017 Punjab election and the 2018 polls in Chattisgarh and Rajasthan. In a story publised in the Business Standard about DesignBoxed, titled, “Why Congress chose Naresh Arora’s DesignBoxed to manage its social media” Arora confirms that the firm has been hired to manage social media accounts of individual Congress candidates for the 2019 elections. BOOM contacted Congress media cell head, Divya Spandana who declined to comment. Interestingly, BOOM found that while senior Congress leaders sharing videos and posts withthe hashtag #ShutTheFakeUp on Twitter, which is the name of the page and a hashtag it uses with all its posts, none of them follow the page. DesignBoxed, Gunjeet Kaur and Naresh Arora did not respond to multiple attempts to contact them.